Growth is good… unless it gets out of control. 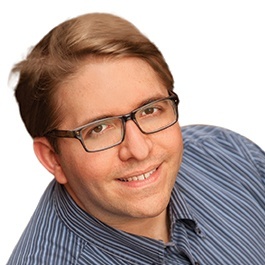 Karl Sakas can help you manage your agency’s growing pains, with custom advice developed from experience guiding hundreds of agencies on every inhabited continent. Your agency is likely your biggest financial asset, whether you plan to sell for a big payday or run it for the foreseeable future. You can’t afford to rely on luck or “happy accidents. What’s different about working with Karl as your agency consultant and coach? First, you get a boutique client experience, with a structured yet flexible process. Clients love having a private, objective sounding board who’s always there for them. Running an agency will never be easy—but it doesn’t have to be so hard. Second, Karl’s deep background in agency operations means he focuses on pragmatic advice, like making yourself “needed but not necessary.” To help you build momentum, you’ll get access to his Resource Library of 50+ time-saving templates. After all, success requires turning ideas into reality. Third, Karl customizes his advice to your situation—your Values, Goals, and Resources. Your agency isn’t cookie cutter, so don’t accept cookie cutter advice. This includes helping you stay actively accountable, with support to break through day-to-day firefighting. Karl has appeared in Digiday, Entrepreneur, Crain’s, and more. He speaks at events like INBOUND, SoDA Academy, and Content Marketing World. Karl is the author of Made to Lead, The In-Demand Marketing Agency, and hundreds of articles on agency management. When he’s not advising agency leaders, Karl enjoys volunteering as a bartender on a 1930s railroad car, mixing martinis at 100 miles an hour. Ready to get your fast-growing agency under control again? Contact Karl to see if you’re a match.